You’re only one movement lesson away from a good mood. Like all of us, there is more to me than the handful of words on this imaginary page. But since we’re here, I’ll try to put me in words. I am easily compulsive with healthy baking experiments (in my “lab” as my mom calls it). My obsessive nature with mountain biking is balanced by long walks and hikes with my husband and frequent moments of observing the wildlife that surrounds me. I’m a food snot (quality is of utmost importance), an avid dog lover but not owner, and a sucker for potty humor. I’m a curious, enthusiastic solopreneur who’s been driven to explore the mind-body partnership and the what’s, why’s and how’s of living a gratified life. My belief is that we all have the capacity to live comfortably, in agreement with our bodies. This is why I have explored life by pushing limits and physical capacities, figuring out how that relates to peace of mind and body, and ultimately, what I can offer you. 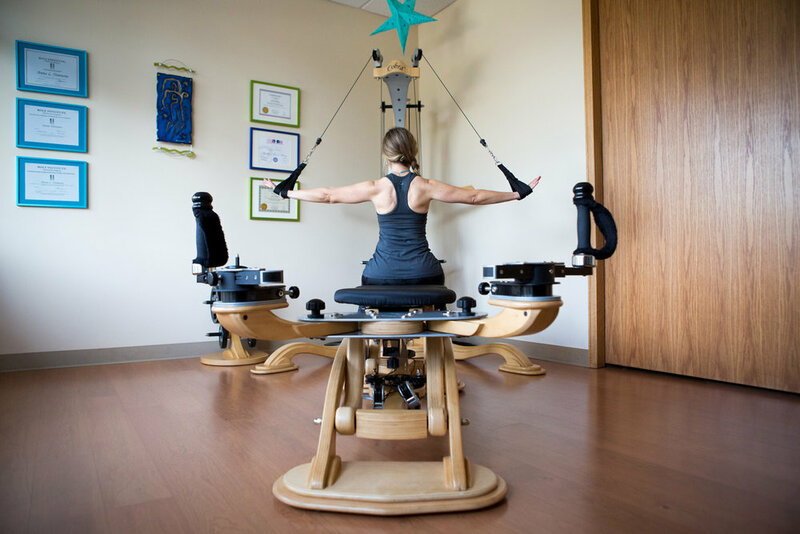 For the past nine years, through Rolfing® Structural Integration, I have been actively studying the human ecosystem, how and why it functions (or doesn’t). 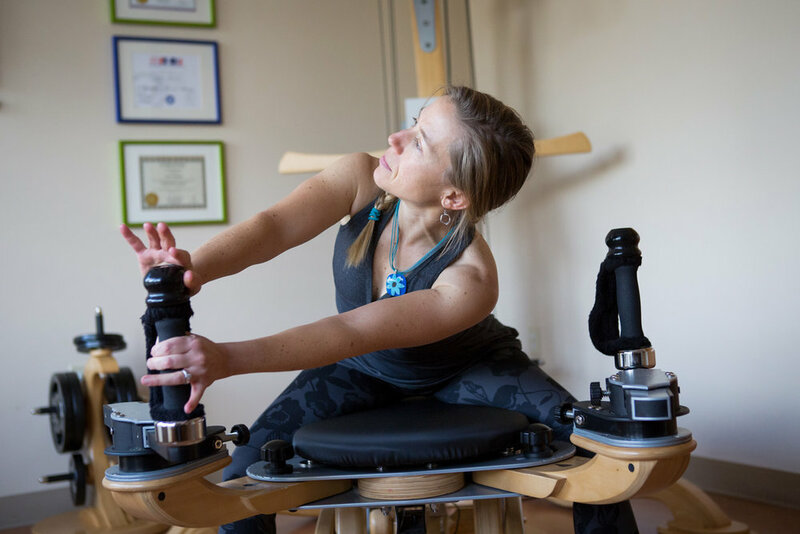 I found this modality of manual therapy because of my own aches and pains and soon made a career change from graphic design to Rolfing (yes, it was that awesome!). It’s been a wildly fascinating ride and keeps getting deeper and better. 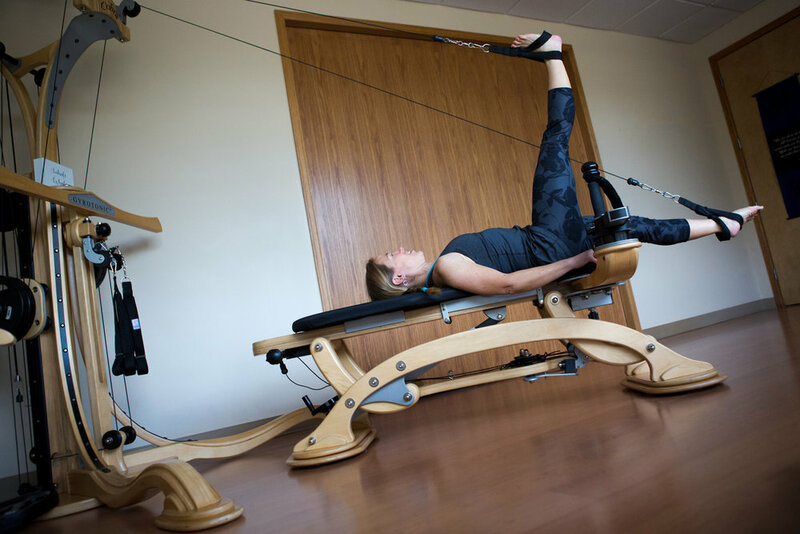 For many years I have practiced both yoga and Pilates, and more recently I have found my home in the Gyrotonic method. Its fluid, expressive, and challenging yet fun style has filled a void in my movement repertoire. It felt as perfectly matched to pursuing the training as chocolate and peanut butter. Now, I am giddy every day with the excitement of working with you and helping you rethink your relationship to exercise and movement.